1. Grasp the Pïnch A Log on the yellow handle directly behind the safey disk. Be sure that the safety disk points away from your body. ATTENTION: Keep hands and fingers behind the safety disk to prevent injury. 2. Hook the front arm of the tool into the end of the log. This can be accomplished with one hand holding the main handle. 3. Now pull up sharply on the handle to drive the rear arm of the tool into the other end of the log. 4. Lift the log to carry, throw, or stack! 6. 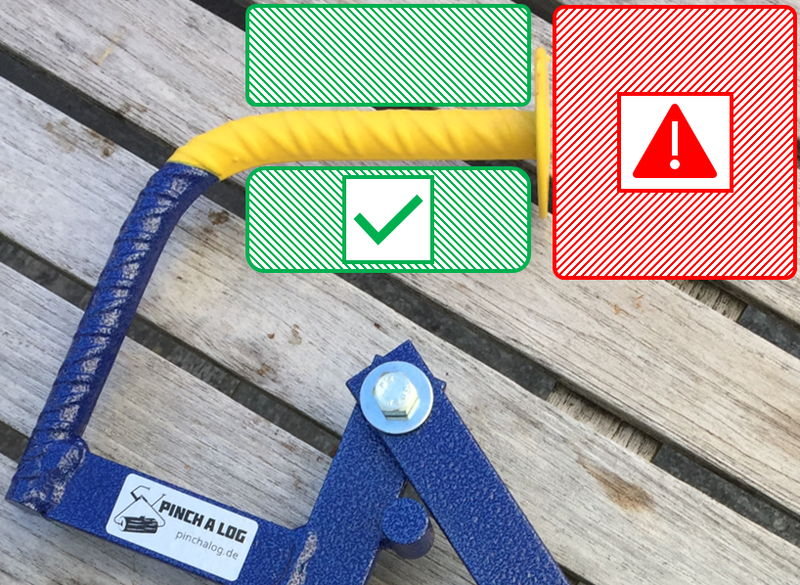 To disengage a log simply push towards the log with a jolt motion to dislodge from both pinch points. NOTE: This is not possible if the tips are dug deeply in the wood! This video illustrates the jolt motion. For a more controlled release, for stacking, pull both handles towards each other. 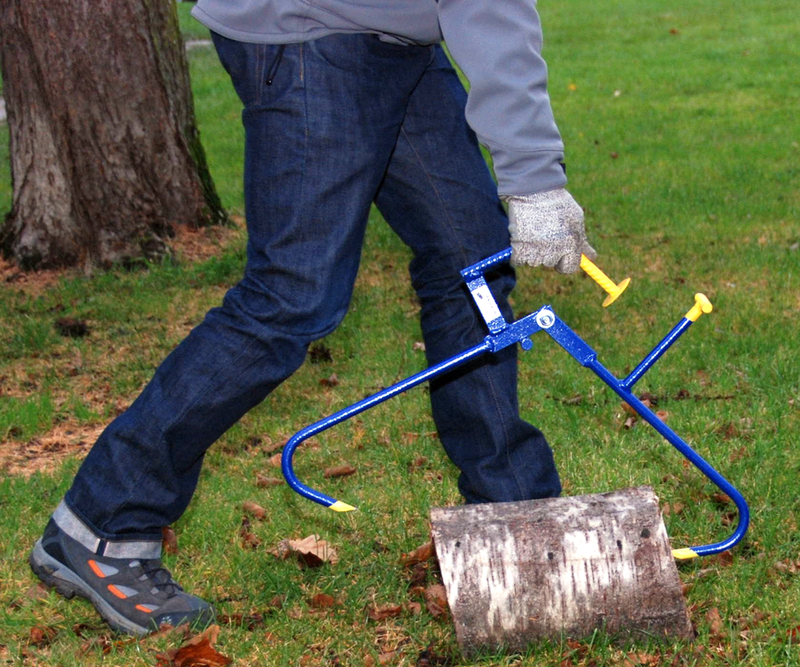 Most firewood can be easily picked up and moved with one hand, as the weight of the log creates the pinching force. Keep pinch points sharp. 7. Please be sure to maintain sharp tips on your Pinch A Log. 8. Please read the complete instruction manual as well as the warning label before use. ​Do not use The Pinch A Log if your doctor advises against lifting, bending and twisting. 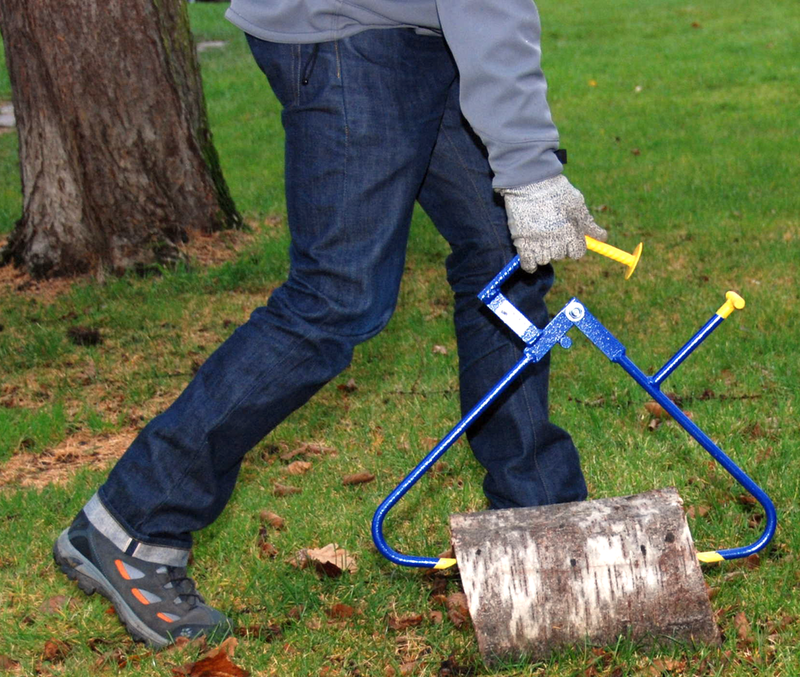 Check with your physician prior to use and to ensure you are physically able to lift firewood. For ADULT USE ONLY; do not allow children to handle, play with or use the Pinch A Log. Use approved safety glasses, steel toed shoes, gloves and protective clothing to protect eyes, hands, feet and rest of body. Keep fingers and hands away from center at pivot point to avoid injury. Hold the Pinch A Log on the handle and keep hands and fingers behind the safety disk at all times. Sharp log pinchers. The Pinch A Log is only to be used for the intended purpose of picking up and moving firewood logs. Do not open or close the Pinch A Log at legs, arms, hands or any other body parts, or use on animals or other items except firewood. Keep observers, pets/animals away from working area. Do not use the Pinch A Log if it becomes damaged in any way. The Pinch A Log should be disposed of as metal waste according to local regulations where you live. 1. My Pinch A Log does not grab wood. What is wrong? The paint on the tips of the Pinch A Log serves soley as rust protection during storage and transport. After the first few uses, this paint wears of slightly and exposes the sharp tips. 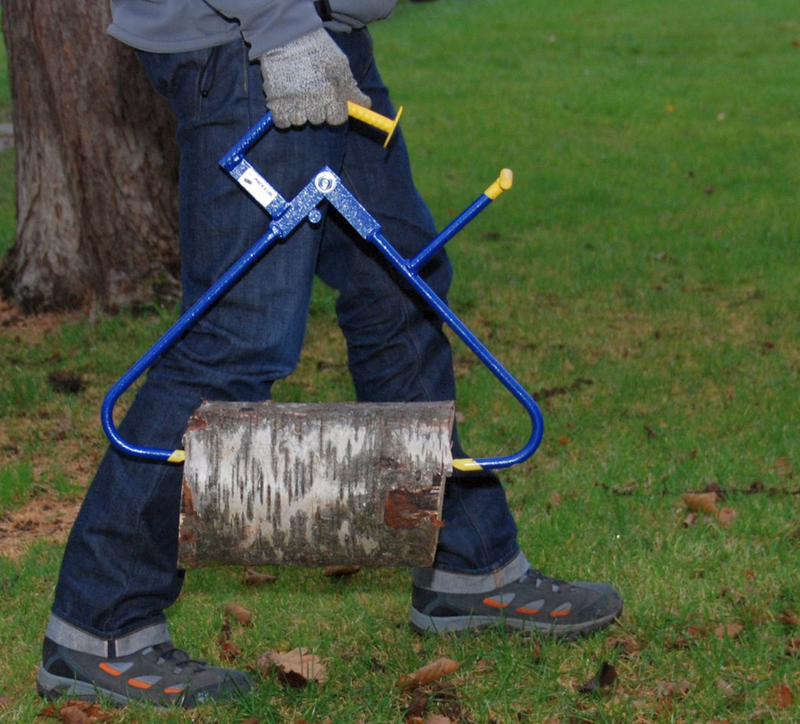 Now your Pinch A Log is fully functional and will grab all types of wood.